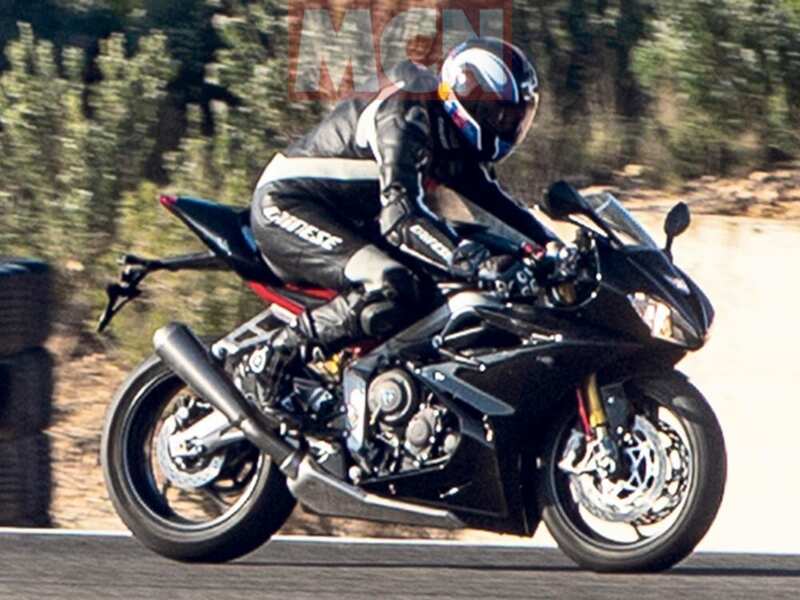 Triumph Daytona sports bike will soon be back in action and will get the inline-3 engine of the Street Triple. 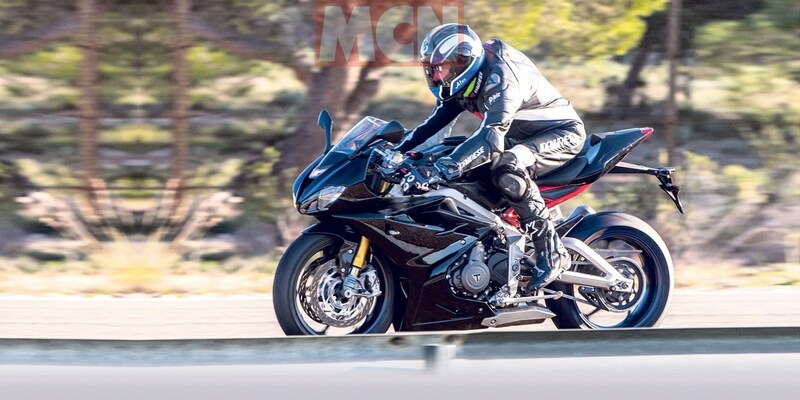 The 765cc engine from the Street Triple is the new ray of hope and can be seen fitted successfully under the Daytona frame on the totally uncamouflaged motorcycle. 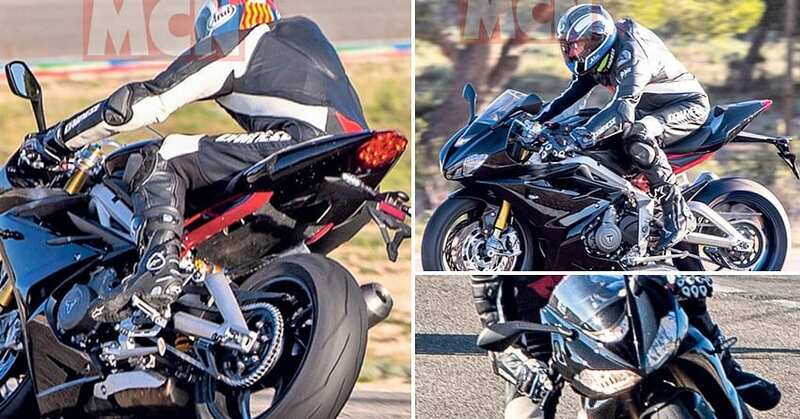 Triumph Daytona 765 has been spotted sprinting in Spain and not just that, the registration of Daytona trademark with this name has confirmed the action. 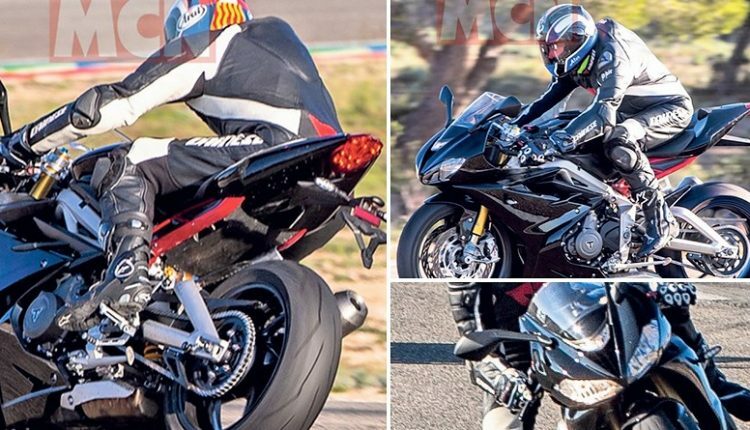 Most experts were expecting a delay in the launch of Daytona 765, but the clear images show that the motorcycle is almost ready to arrive for select markets. The Daytona design with twin headlights, red frame highlights, and golden USD forks confirm that the model seen here is the 765R variant of the motorcycle. The seating position for Daytona is unique for itself, getting the iconic flat seat for the rider and cowl for the R version. The footpegs are positioned perfectly for a track-bike stance as the height and rear-biased placement bring an effective sitting angle for the rider. The rear is seen without any footpegs on the top variant. The brand was earlier expected to make changes into the design elements, but this one confirms almost similar design for the model. The aerodynamic ability of Daytona was praised from the 675’s arrival in 2006 and since then, the British middleweight racer has been a hit among the racers. The inline-3 engine was good for 118 HP of maximum power while 765 engine in the RS tune is good for 123 HP. 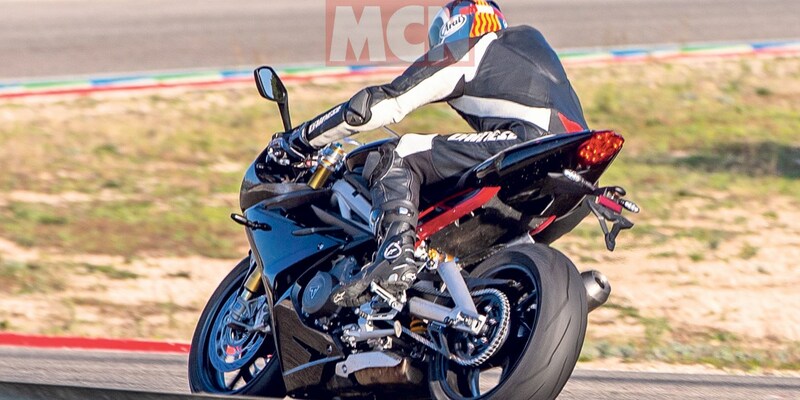 For the Daytona, Triumph will definitely use an even aggressive output. The 77 Nm of torque output is quite high in comparison to the 70 Nm value of the 675R. The launch of Ninja ZX-6R in India has further made the fact clear that Triumph Daytona 765 will get a rival this time for sure.